What is the sharing economy, and how can it work for you? Based on the principle that people can share excess goods, peer-to-peer, it's a way to get what you need and share what you no longer use without a corporate middleman. The sharing economy brings a practice formerly reserved for small transactions among friends to a regional, or even global scale. Now you can rent the extra room in your house to a complete stranger for cash, or you can share your knack for making excellent chicken pot pie with more than just your friend circle by hosting people you don't know yet for dinner — for a fee. 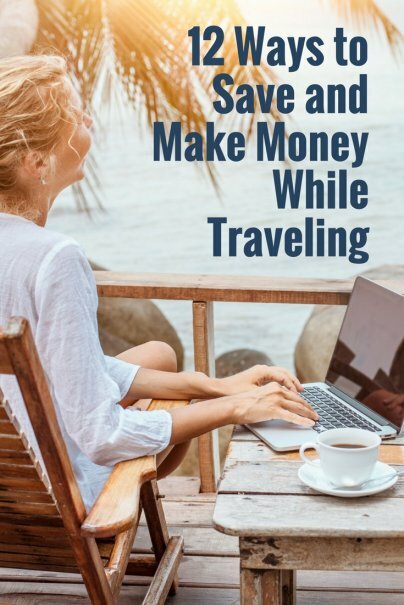 Here are some of the most clever ways to utilize the sharing economy before and during your travels to save money for your trip, and once you're on the road. Before you go: Paying rent can seriously eat into travel savings, but you can make some money while you're away by renting out your place at AirBnB. If you're not using it, you may as well make it work for you. Some people make a sizable chunk of earnings off this service alone. Make sure to look into the rules and regulations for holiday rentals in your area, and check with your landlord, if you have one, before listing your place. Before you go: If renting out space within your home isn’t an option, Camp in my Garden allows you to rent out your yard. That's a space that you probably don't use 24/7, so why not rent it out? Before you go: Say you don't even have space in your backyard, but there's a parking spot you're not using that you could rent out from time to time — like when you're at work — in an area where parking is limited. Make that spot work for you by renting it out on JustPark. On the road: Uber exists all over the world, including most of Europe, South Africa, and even India. It's often a much cheaper, less scammy, and safer alternative to a taxi. It was my chief method of getting around in Johannesburg, South Africa, which doesn't have public transport and isn't safe to walk around. And I felt safer since the app tracked me from pick-up to drop off. Before you go: If Uber isn't your cup of tea, or if you don't have time to devote to driving, rent your car out to others on Flightcar. Save the fees you'd pay to the parking meter and make your car work for you when you aren't using it. Before you go: If you don't have time to drive others around and don't have any trips coming up, rent your car out short-term with Relay Rides. Rentals can be as short as an hour or two. On the road: Don't need a car for a full several days or weeks? Just rent a car for an hour to get across town and back if that's all you need. Before you go: Do you have a bike that's collecting dust? Do you go away for long periods of time, leaving your wheels idle? Rent it out to others on SpinLister when you don't need it yourself. Before you go: Are you particularly knowledgeable about the area where you live? If your town or city gets a fair amount of tourist traffic, there could be an opportunity for you to show people around and share your local knowledge for some cash through Vayable. Get creative: tours can be as niche as showing people around the best organic farmers markets in San Francisco, or a walking tour of Berlin's street art, for example. Before you go: Have you ever bought something that you simply didn't end up using? Get rid of the guilt by selling those items through Yerdle, and get more money for your items than you would by selling them to a used goods store. On the road: Have you been aching for a new camera for your trip but can't shoulder the cost? Get brand new goods for your travels for cheaper. On the road: If you're like me, you still need to work on the road from time to time, and Wi-Fi can be a pain to find in some places, and quite costly to boot. Find cheaper connections by harnessing Fon's network. What do you think? Would you give these companies a try? If you have, tell us about your experience in the comments! What AirBNB does not tell you is how they handle cases where you arrive at the property and find there is no way to lock your room to protect your belongings when you go out sightseeing, when the bed is not even made up, or when the room is being rented illegally. Even though we did not even stay one night there and called AirBNB immediately, the company refused to return $185 of our deposit. Also, AirBNB is not a member of the Better Business Bureau. The just keep whatever they want of your money. Dispute the charge on your credit card. My credit card company has clawed back I don't know HOW much money for me in these types of situations. Amex is particularly good and USAA is incredible but you need to have stellar credit and military service to do business with them. Your credit card company will ALWAYS stand with YOU. Kristin has traveled the world alone.